Sony's first State of Play took place today, announcing a number of new titles for VR and showcasing new gameplay from its upcoming releases. After opening the presentation with a new VR game from Worldwide Studios developer, Camoflaj. The game will put the player inside one of Tony Stark's suits, and have them take out aerial enemies with an array of weapons. Marvel's Iron Man VR is coming to PSVR in 2019. Next up, we saw a bit of new gameplay for Crash Team Racing, releasing June 21. After that was the first big announcement of the presentation – No Man's Sky's upcoming Beyond update will introduce PSVR support for the title. 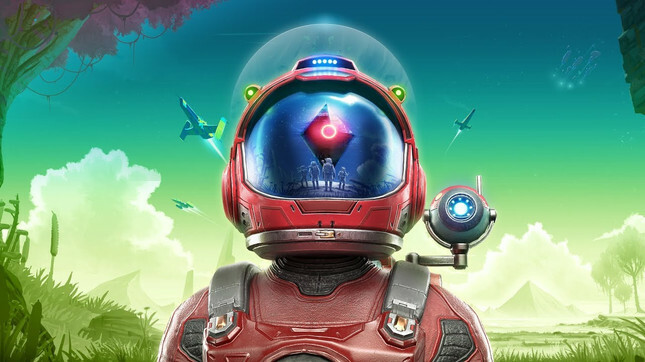 The new content is just one of the many free patch releases from Hello Games that has drastically improved the game, and is expected this winter. Next up was Ready Set Heroes from Robot Entertainment, a pvp dungeon brawler which places two teams of players into a dungeon and tasks them with collecting loot. At the end of the dungeon the two teams are set against each other in a winner-takes-all battle. A fun little title with a fun art style and playful premise, Ready Set Heroes is expected sometime in 2019. The action-packed PSVR title Blood & Truth from London Studio showcased some new gameplay, and finally confirmed a release date of May 28. Following Blood & Truth were number of PSVR titles set to release this year. Observation from developer No Code sets players in a space station. The game looks atmospheric as hell, and is definitely channelling some Alien vibes. The sci-fi thriller will release for PlayStation 4 on May 21. Fans of Five Nights at Freddy's can celebrate, because the game is getting a VR version, titled Help Wanted. Players can relive all the levels of the original game, while also surviving some new content specific to the VR version. On a less creepy note, Pixel Opus showed off gameplay for Concrete Genie, expected to release this spring. The game tells the story of a bullied kid that stumbles into an abandoned town that has been stripped of colour. Armed with a magical paint brush, he's tasked with painting a town back to life. Concrete Genie will also support VR. The showcase then debuted a new narrative trailer for Days Gone, then showed off some new gameplay that featured various new enemies that will inhabit the world. Sony's first State of Play wrapped up with a fun and brutal gameplay trailer for Mortal Kombat 11 – set to release April 23. It was also confirmed that series veterans Jax, Kung Lao, and Liu Kang are joining the line up. Check out the full State of Play below, starting from the 12min mark.